TVS Victor now gets Synchronized Braking Technology (SBT) or combined braking system and is available in three variants - Drum, Disc and Disc Premium Edition. TVS has equipped the Victor with combined braking system (CBS). In TVS-speak, they’re calling it Synchronized Braking Technology (SBT), but the working principle is the essentially the same as CBS. The Victor SBT is available in both drum and disc variants. The former is priced at Rs 54,682, while the latter is available in two trims – Disc (Rs 56,682) and Disc Premium Edition (Rs 57,662). All prices are ex-showroom, Delhi. For the uninitiated, SBT or CBS essentially means that whenever a rider applies the front or rear brake alone, the system automatically engages the brake on the other wheel so as to improved safety and stability, while also reducing the braking distances. On the mechanical front, the TVS Victor SBT is unchanged. Powering the motorcycle is a 110cc single-cylinder engine that develops 9.3bhp and 9.4Nm of torque. The engine is mated to a four-speed gearbox. 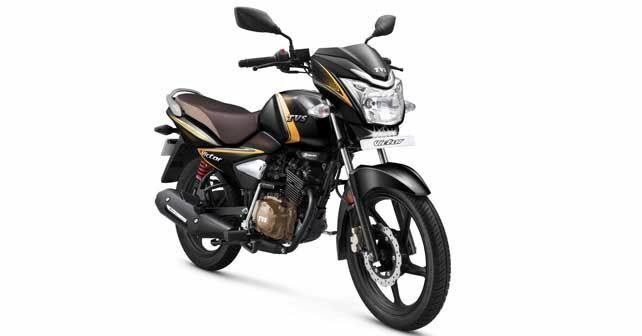 The inclusion of CBS in new two-wheelers – up to 125cc – will be mandatory from April 1, 2019, and that’s why TVS has launched the updated version of the Victor now. For two-wheelers above 125cc, the same deadline applies, albeit they have to come equipped with anti-lock braking system (ABS), and not CBS. In view of this, TVS recently also introduced the ABS-equipped versions of its entire Apache RTR range.